After our brief video introduction at Japan Expo, Square Enix UK now released a very detailed video tutorial, which explains you how to play the Final Fantasy Trading Card game. The game’s creator Mr. Kageyama and Fabian Weber explain the basic setup, different card types and how play each turn. A second video will follow at a later date, showcasing deeper mechanics of the game. 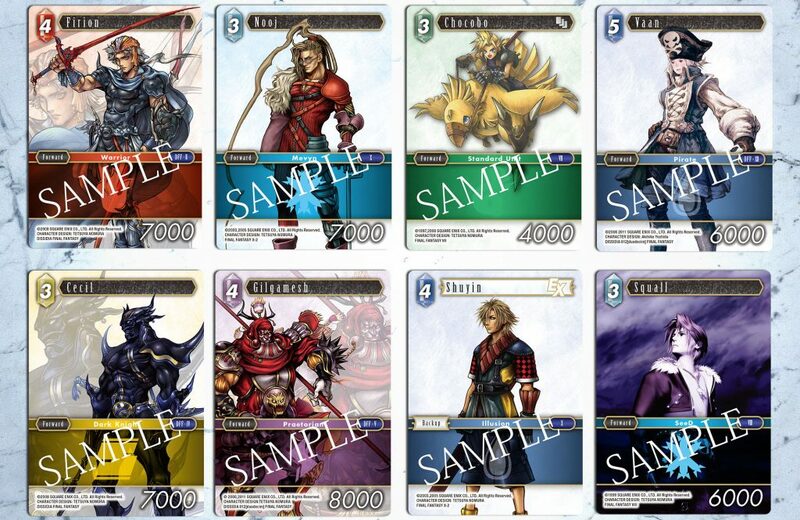 The Final Fantasy Trading Card game will be released in Mid-October 2016, following the pre-sales at the end of September. The sale starts in major European countries with English, German, French and Spanish supported at launch. An Italian version of the game will be added a bit later. A release in North America has not been announced yet, but is likely in the near future.